In 1994, two local businessmen realized the financial need a lot of families experience, often at Christmastime, and asked themselves what they could do to help. The two then decided to challenge each other to raise money to purchase bicycles for families in need, families where children might not see Christmas gifts at all. The first year, 17 bicycles were purchased and 17 families’ Christmases were made extra special. The men’s efforts increased from a month long project to a year-round effort to raise enough money to make as many children as possible happier during the Christmas season. 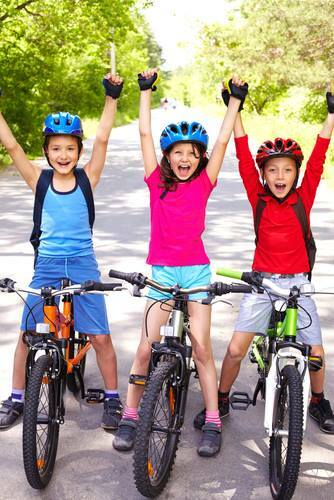 In the past 24 years, The Spokes Group has put almost 45,000 children on bikes across Georgia and North and South Carolina. The need and opportunity expanded into Charleston in 2011. The Spokes Group Charleston aims to donate 500 bikes annually to Lowcountry children, often in under-served communities. Through programs like The Salvation Army Angel Tree, and help from local school districts, the non-profit connects children to an recreational and exciting gift/opportunity they might not otherwise see. To date, the Spokes Group Charleston has put more than 2,500 children of the Lowcountry on bicycles. For $80, The Spokes Group Charleston is able to buy, ship, assemble and distribute one brand new Huffy bicycle and helmet to a child living in our local community. Having no salaries or overhead, we can use all funds to further the mission. Please visit “donate” tab to contribute to the cause.